Lock in a great price for Adler Hostel – rated 8.3 by recent guests! The bed was comfortable until the sheet started coming off all of the corners. Towels smelled amazing. Great location to start off your day or evening. Could come back for a break everyday for a 1-2 hour nap or air conditioning. Exceptionally clean hostel and central location – close to good food and the train station. Feels like you are staying in a hotel. The AC in the room is set at a cool temp, which was perfect for us and the beds and sheets are very cozy. Free coffee and one load of laundry was a great perk! Self laundry and frig available. Location was great. Linens were high quality. Felt very safe. The staff were extremely friendly and welcoming! They answered our questions, gave us candy, and let us use their phone. The WiFi worked great! We had a great experience and would recommend others who are visiting Singapore to stay there. The ambiance is calm and friendly and was essential to making our visit great. That familiar scent of Adler. It comes breezing through your nose the moment you enter when you're about to check in. That familiar scent of Adler, now etched in your memory... it stays with you until you're back home. 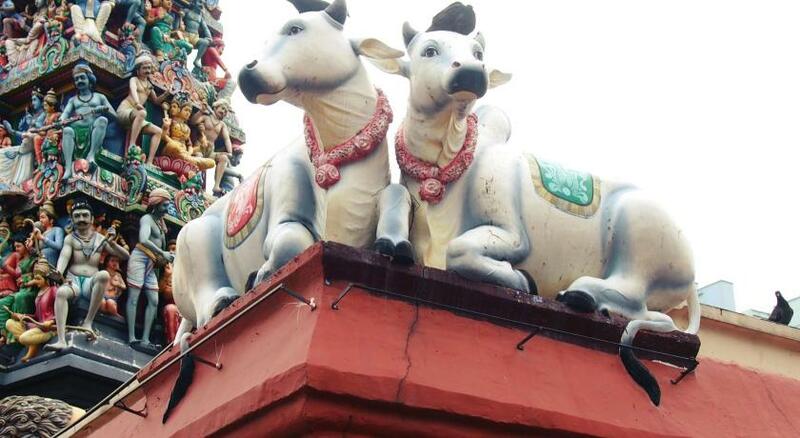 Adler is right by the Sri Mariamman temple in the very busy Chinatown area. Seconds away from a bus stop, a minute away from a convenience store, 4 minutes away from some of the cheapest Michelin approved dishes to introduce you to Singapore and 5 minutes away from the nearest train station towards your next journey in this progressive garden city. It helped that the staff are all very friendly and accommodating. Responding to your questions whenever you have one. Had a chat with one of them past midnight and the energy was still there. Great vibes going. A very nice hostel, and a great location in Singapore. Highly recommended. Stylish, classy, safe and great location. Clean, quiet, respectful fellow travelers, locker inside the bedspace was a perk. Things to bring if you stay here: ear plugs and sleeping mask because most nights the lights aren’t turned off in the dorm. The hostel is clean, nicely located and the staff is very welcoming and kind. It was a wonderful experience and would come back there again. The lobby areas and the little cafe are very nice, the rooms are quite and the location is one of the best in town! Comfy bed, near chinatown which means food and beer, near mrt 5mnts walk, room is quite cold which i like. Adler Hostel This rating is a reflection of how the property compares to the industry standard when it comes to price, facilities and services available. It's based on a self-evaluation by the property. Use this rating to help choose your stay! 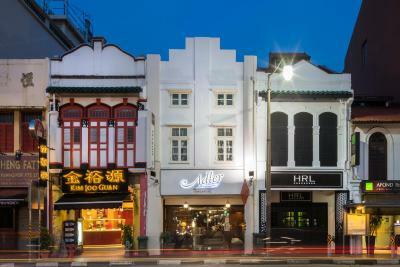 Housed within a restored and conserved heritage shophouse, the family-run Adler Hostel offers accommodations on Chinatown's Temple Street in Singapore. Guests can enjoy light refreshments at the in-house cafe. Free WiFi is available throughout the property. 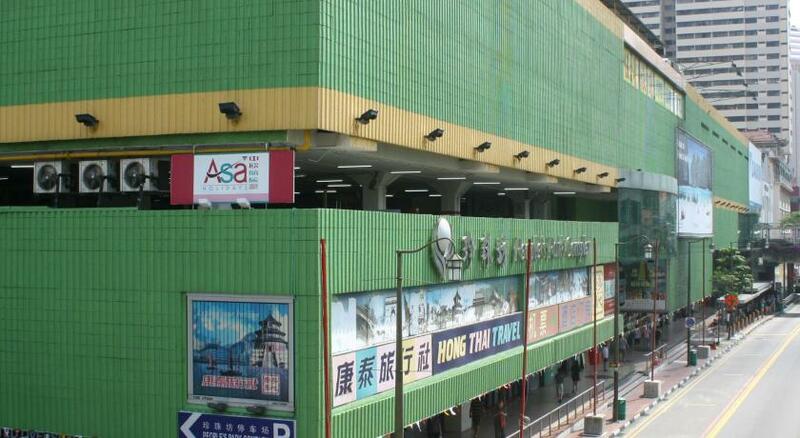 It is just 5 minutes' walk from Maxwell Market and Chinatown MRT Station. Adler Singapor is a convenient 15-minute walk from nightlife options and restaurants at Clarke Quay. By train, it is about 10 minutes' to Harbourfront and Vivo City, where guests can take the monorail to Sentosa Island. Changi International Airport is a 40-minute drive away. Alternatively, guests can explore the surrounding area for a variety of shopping and dining options. Bright and spacious, all the air-conditioned dormitory rooms come with personal sleeping spaces fitted with a super single-sized bed, 2 pillows and a duvet. Universal power sockets, a reading light and a built-in personal locker are included. There is also a privacy curtain per bed. Bathroom facilities separated by gender are available on every floor. High pressure hot-water showers and free Prija bath soaps are provided. Towels are also available for free usage. Guests can approach the 24-hour front desk for tour arrangements or embark on a free walking tour provided daily. The common areas include a living room, laundry and pantry area. There is also a small reading area with travel books and novels. Guests also enjoy complimentary all-day Segafredo Coffee and Clipper Tea. When would you like to stay at Adler Hostel? Personal sleeping spaces within a mixed dormitory room, each with a super-single bed, 1 feathered pillow, a comforter and a privacy curtain. A personal built-in locker, reading lights and universal power socket are provided. Bathroom facilities are shared, and come with free toiletries, a hairdryer and towels. Guests enjoy shared ironing facilities and complimentary use of bicycles. Personal sleeping spaces within a female-shared dormitory room, each with a super-single bed, 2 feathered pillows, a comforter and a privacy curtain. A personal built-in locker, reading lights and universal power socket are provided. Guests enjoy free use of bicycles and shared ironing facilities. Personal sleeping spaces within a female-shared dormitory room, each with a queen-size bed, 2 feathered pillows, a comforter and a privacy curtain. A personal built-in locker, reading lights and universal power socket are provided. Rate is for 1 cabin that can accommodate 2 guests.. This room is located in The Prestige Wing. This wing is equipped with improved cabin suites featuring in-cabin mirrors, a small table and combination lock. Guests enjoy free use of bicycles and shared ironing facilities. Personal sleeping spaces within a mixed shared dormitory room, each with a king-size bed, 2 feathered pillows, a comforter and a privacy curtain. A personal built-in locker, reading lights and universal power socket are provided. 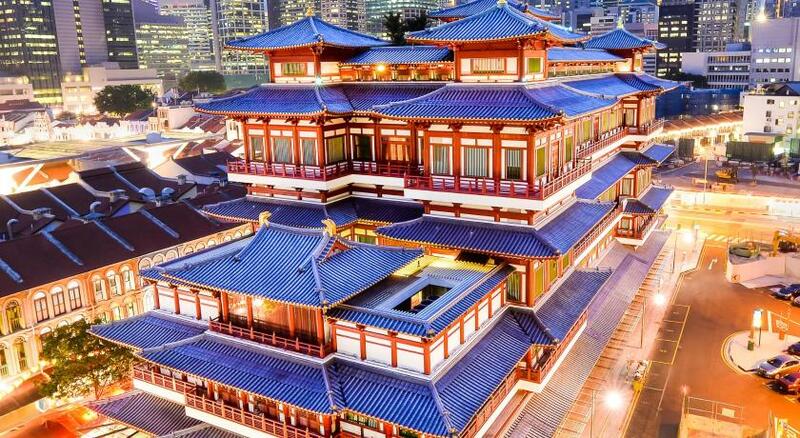 Decorated in a colonial eclectic decor in Chinatown and furbished with exquisite customer service, we take you back in time to the golden era of Singapore where islanders enjoyed the comforts and luxury of a slower pace of life. House Rules Adler Hostel takes special requests – add in the next step! Adler Hostel accepts these cards and reserves the right to temporarily hold an amount prior to arrival. For group bookings of more than 10 people, the property will contact you directly for a 20% nonrefundable deposit. Not a social hostel at all. Clean, visually nice place to rest your head at night and catch some Air Con during the day. It was truly great. I'd recommend not forgetting to bring your tooth brush and paste and aside from that you're fine. I liked how easy it was to check in and how private it was even though it was a bunk. Great location and the bathrooms had nice shampoo and gel. The spot is close to mrt and very clean too. I liked the staff and will return as it's also great for entrepreneurs seeking a quick spot to stay for meetings. The room that we had was located on a 4th floor by stairs and we had to take the luggage upstairs. The location is great! They have complementary coffee in the morning and the atmosphere of the place is amazing! Beware of the posts/crossbeams if you are on the top bunk :) The wife and I both took hard hits to the head. My usual place to stay in Singapore. Clean and comfortable, cheap by Singapore standards, and fantastic location in the middle of Chinatown. The bathroom could have been cleaner. The aircon was super cold. It would have been nice to be able to open the window and get some fresh air in the room. The privacy in my cabin bed :) Also the smell of the refreshener in the check-in room. I think it was not worth the price. I know Singapore is more expensive in general but I just don't think it was justified. Also luggage storage being at the cafe, 3 doors down was a bit annoying. And carrying bags up 3 flights of stairs - not enjoyable. The location right in the heart of Chinatown was incredible. A few mins from the MRT and great eateries around. There wasn’t a place to put shower items while in the shower - just a rack for clothes / towel. Towels and sheets are provided but did have some spots on them. I didn’t ask for more but I’m sure if I did the staff would’ve provided them! After long travel from Holland we hoped to check in early. First the lady at the reception said it was not possible, not even using the showers.. this wasn’t a warm welcome. After i mentioned to my friend about writing a bad review about this incidence suddenly one of the beds was available. Even the bed was already clean we had to pay for early check in for both beds (both 20 dollars). Also we had to pay for the towels and the next day we had to print out 2 pages and for that she also asked money.. overall the lady wasn’t friendly at all. To bad!! Nice location, in the middle of Chinatown. the sound that travels because the wooden structures. the slightest knock or bump or light being switched on, the sound carries. I loved the property and the convenience they provide. The staff are extremely helpful and that was the icing on the cake. Most of the construction is in wood and hence the slightest sound carries. This could be changed with carpeting or some kind of sound proofing. Overall, a very satisfactory stay and definitely my priority when I come back. Access to my top bunk was a but tricky but after a few trips up and down it was fine.